Jezebel: Why Is TOMS Partnering With An Anti-Gay, Anti-Choice Group? - Also, this Sunday's Doonesbury poked fun at teaching intelligent design in schools. 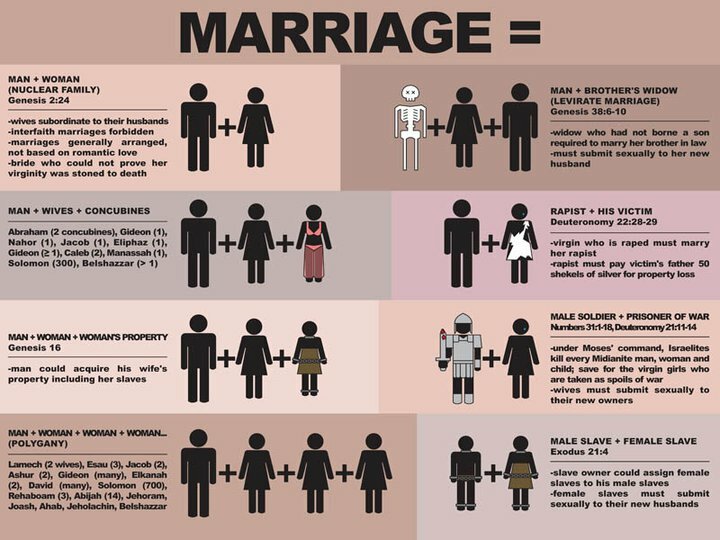 - Finally, this chart looks at the implications of "Biblical" marriage. Excellent article from the God Discussion. Stunning and terrible that 1/3 of the participants in Evergreen committed suicide! Cognitive Dissenter -- I'm glad that man is free from Evergreen. I have no respect for these so-called "ex-gay" programs.